You’re not the only one that wants to look and feel good, your pet does too! At Southern Hills Veterinary Hospital in Tulsa, we provide comprehensive grooming service for your dog and/or cat (yes, cats need to be beautified as well!) no matter their size or shape! 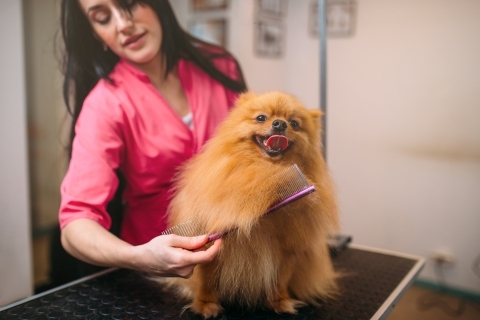 We suggest grooming your pet every four to six weeks, not just so that you can show off how good they look, but for the medical benefits as well. By coming into our animal classic for routine grooming services, you’ll help prevent infections and parasites in your pet, avoid bothersome shedding, decrease the chances of skin conditions, and aid with their overall cleanliness. The reason our veterinarians got into this professions is that they care about animals, and the same goes for our salon professionals. They are all experienced, as well as knowledgeable with breed-specific requirements so you know your beloved pet is in good hands. We understand that each pet is unique and requires special care, so we provide customized programs for each and every one of the animals for which we care. If your pet is in need of a spa day or any of our wide range of veterinary services, Southern Hills Veterinary Hospital is here for you. Our veterinarians, as well as our entire staff, is dedicated to providing the utmost care for your dog or cat. 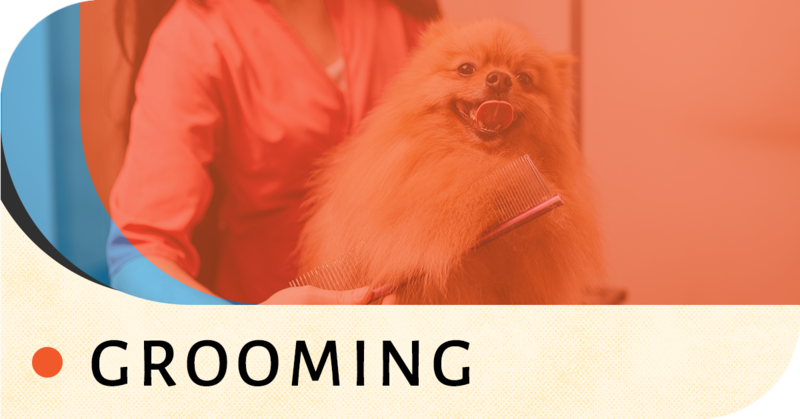 Contact us today to find out more about our grooming services, or make an appointment. We look forward to seeing you and your four-legged family member!